Your noisy class may have been called a fish market quite often in school. But if you love seafood you’d know that the chaos in these markets is absolutely worth what comes on your plate. Head to these fish markets in Pune to get the freshest catch of the day. Open from 5am to 11pm, the market has a fresh collection of fish daily. Head out early to get the best and the freshest seafood coming in. You’ll find river and sea fishes and prawns as well, but pomfret usually dominates the market. One of the oldest markets in Pune, Shivaji market is home to fresh vegetables, fruits, mutton, chicken and fish shops. From the 17 vendors, pick up everything from prawns, rawas, bombay duck, pomfret to surmai. Some also have dried fish. In Ganesh Peth, the wholesale fish market is the cheapest place to buy fresh fish. If you’re having a party, head here as soon as it opens. It runs from 6am to 11am, so you’ve got to be up early if you want to stock up on good seafood. It’s one of the best markets to shop for seafood. Most locals in the area swear by it for fresh seafood at value-for-money prices. Head here before 2pm and shop for the freshest catch. In Kothrud, this is where you go when you want to cook up a sea storm in your kitchen. 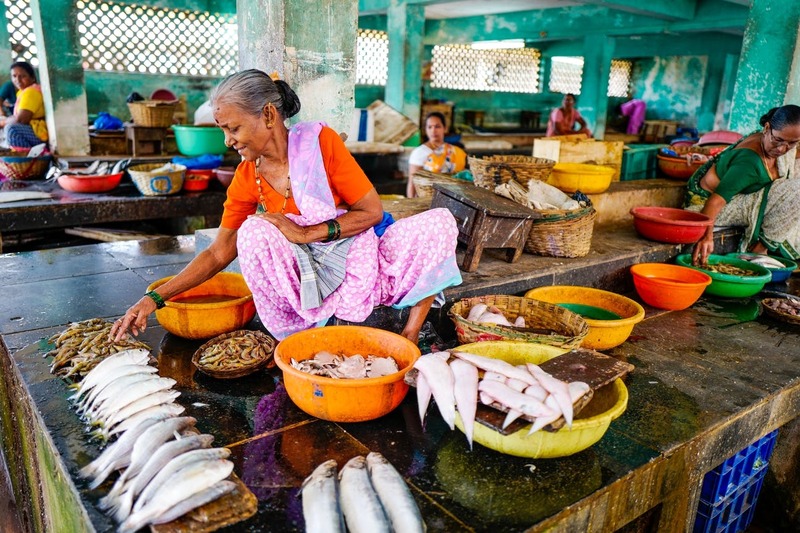 You’ll find everything from fresh catch to dried prawns and bombay duck. Pick up fresh surmai, pomfret and other varieties of river and sea fish, prawns and the occasional squid too.